Ant McPartlin is set to make his long awaited to return to our screens when the new series of Britain’s Got Talent kicks off this Saturday. The presenter took a break from the spotlight following a string of personal issues, including a drink driving charge and his divorce from wife Lisa Armstrong. And 43-year-old Ant was welcomed back to his position with an adorable comment from a young contestant. As Flakefleet Primary School from Lancashire took to the stage to perform their rendition of Queen’s Don’t Stop Me Now, the BGT judges were brought to tears, with 47-year-old David Walliams showering the children’s act with praise. 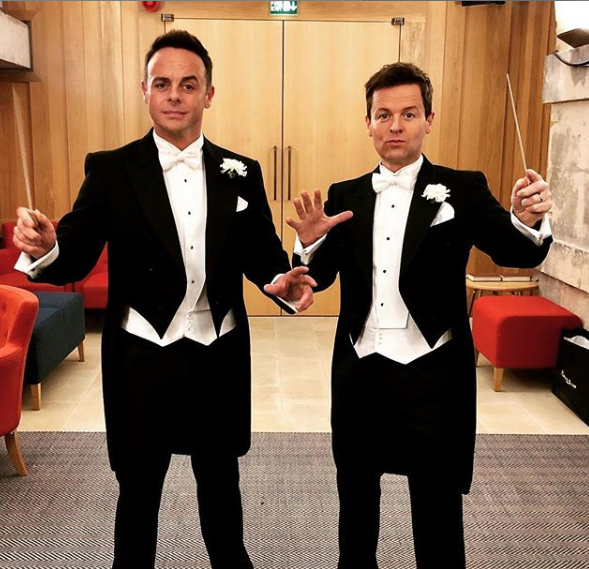 After receiving the judge’s complimentary comments, the choir headed backstage to be greeted by 43-year-old Ant and his long-term presenting partner, Declan Donnelly, also 43. One little girl took a shine to Ant, hugging him as he picked her up into his arms. Ant and Dec are finally set to reappear on screen together at the weekend, after Ant’s stint in rehab meant Dec was left presenting last year’s BGT live shows alone. Last year was tough for the TV personality, when he split from wife of 12 years, 42-year-old Lisa Armstrong, paid £86k for pleading guilty to drink driving and spent time in rehab to recover from alcohol problems.